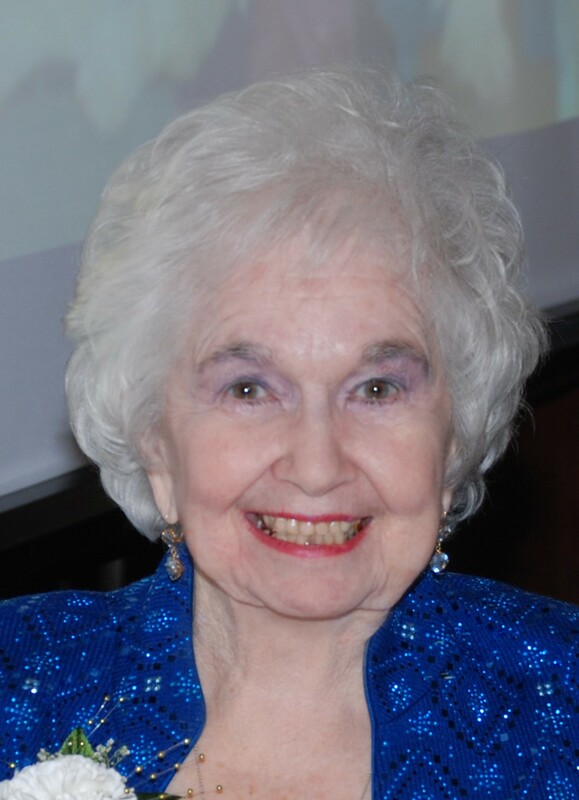 Carolyn Hudnall Tompkins Hawkins, a devoted mother, wife, grandmother, aunt, sister, daughter and friend passed away peacefully at 11:33pm, Thursday, March 14, 2019 at the age of 87 years old. Carolyn was born in Shreveport, Louisiana on March 6, 1932 to Shelly and Lilly Mae Hudnall. She grew up in Longview, Texas along with her two brothers, Shelly and John. She graduated May of 1954 with degrees in Music, English and Art from Centenary College of Shreveport. She sang soprano in Centenary’s traveling choir, got pinned to her sweetheart Noel Tipton, then fell in love and married Norman Tompkins on her 23rd birthday, March 6, 1955. Carolyn and Norman welcomed their first child, daughter Carolyn, born just after her 24th birthday in 1956 and their son, Norman “Terry”, in 1960. Memorable highlights in her life included watching her daughter, wearing the same wedding gown Carolyn wore in ’55, walk down the aisle to marry John Johnson and celebrating her son taking Rene McDermott’s hand in marriage. Her greatest joy in life was being a loving grandmother to Terry and Rene’s children, Tyler, Noah, Charlie and baby Nikolas, who Carolyn’s husband Norman welcomed into Heaven on the day he was born. In 2005, Carolyn was blessed to meet and marry Carman Hawkins, who adored her throughout her twilight years. While Norman was serving in the U.S. Army, Carolyn lived in San Antonio, Texas, Fort Huachuca, Arizona and Heidelberg, Germany with her family, then settled back in Dallas, Texas, which she called home. She taught grade school, church preschool and retired after many years as an executive assistant for the head office of Boy Scouts of America. Carolyn sang in her church choirs and performed with North Texas Choral, singing in Notre Dame in Paris and Carnegie Hall in New York City. She loved attending the opera and would often sing along while listening to it in the car. Along with a beautiful soprano voice, she also was an accomplished painter and writer of poetry. She was very much a lady, always having her hair perfectly coiffed, her dainty nails painted and her lipstick blotted. She had a great sense of humor and could sit for hours with her kitty warming her lap. If ever there was an Angel on Earth, it was Carolyn. Please join us as we celebrate her life. Rest in Perfect Peace. Though I never met you but I always heard good and commendable things about you from your daughter Carolyn whenever i had the opportunity to drive her to the airport either to visit you or for other engagements. The last time I took her to the airport she told me you were not feeling very well. After I dropped her I prayer for you and all I could say was that God’s will should be done. Little did I know that that was the last time I will drop her at the airport to come and see you. To my friend Ama (That is the Ghanaian name giving to your daughter Carolyn, because she was born on a Saturday) by my late brother and good friend Kwesi through whom I got to know Ama. Ama please on behalf of Kwesi’s children and that of my family here in Houston I wish to express our heartfelt condolences to you and your extended family for your lost. Our prayer is that God will see you all through and give you the strength to endure and wipe away your tears for such a great lost. Again Carolyn Hudnall Tompkins Hawkins rest in perfect peace until the second coming of our Lord Jesus Christ. Amen. Thank you so very much. Your sentiments warm my heart. I appreciate you keeping my mom in your prayers during her funeral Friday. So sad for all of y’all in your loss but happy for your mom n grandma now with Jesus. So sorry for your loss. I worked for Dr. Tompkins while in high school until his passing. I’ve thought of them both often through the years, it was a wonderful time for me. Prayers for you all during this time.